If you’ve been convicted of a DUI or DWI, it’s likely that you’ll have to install an ignition interlock device (IID) in your vehicle in order to retain some of your driving privileges. Any time your license is suspended you’ll have to obtain some form of an IID-restricted license. While the titles and eligibility requirements differ from state to state, having to install an ignition interlock device can seem overwhelming and a little frightening. That’s understandable, but never fear. ALCOLOCK has worked to design some of the most advanced yet simple-to-use devices on the market including the ALCOLOCK LR. 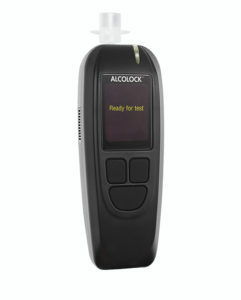 The ALCOLOCK LR is a small ignition interlock device about the size of an older model cell phone. It’s small enough that it doesn’t get in the way of your everyday routine but is powerful enough to provide quick and accurate results. The on-screen directions are easy to understand, and you can even opt to have it connected via wireless technology. This can come in helpful during cold weather when device warm-up times are longer as you can take it inside overnight. 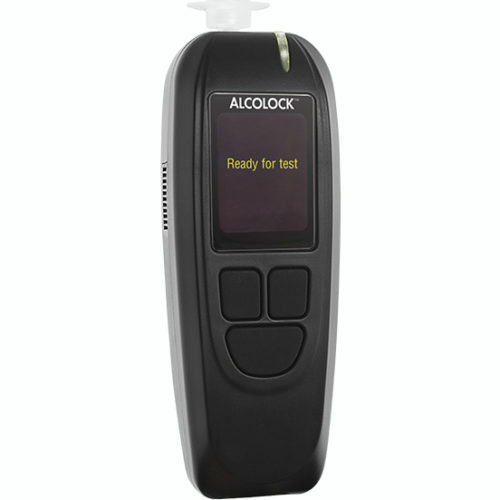 The ALCOLOCK LR provides results with an accuracy of plus or minus 0.02 at 0.20 mg/L. In other words, it’s incredibly accurate, which means you can be confident in the device and its readings. The ALCOLOCK LR has many features that make it an optimal choice for those who need to install an ignition interlock device. While this is not an inclusive list, here are a few of the features that make the ALCOLOCK LR a superior device to others on the market. The ALCOLOCK LR is simple to use. Follow the on-screen instructions so you know when to blow into the device. The first time you use the device you’ll have to provide an initial sample that lasts about 30 seconds. For future samples, provide a constant breath for five seconds when the device prompts you to provide a sample. After that, the ALCOLOCK LR will tell you if you passed via a tri-color LED indicator. If you did, you’ll be directed to start your car. All the information is stored in the device and is available for download should you ever need to provide it. You’ll be prompted to test at random intervals as prescribed by your jurisdictional authorities. The retest request will show up on the screen, and an auditory and visual cue will go off. You’ll be given time to pull over to a safe spot where you can provide the breath sample. The ALCOLOCK LR offers drivers the ability to retain some of their driving privileges while ensuring public safety at the same time. Using the device is simple and easy, and your ALCOLOCK service provider will give you a thorough training and compliance manual so you’re never left in the dark. With state of the art technology and an interface that has the client in mind, the ALCOLOCK LR is the perfect combination of science and sensibility. Ask your ALCOLOCK service provider for more information.